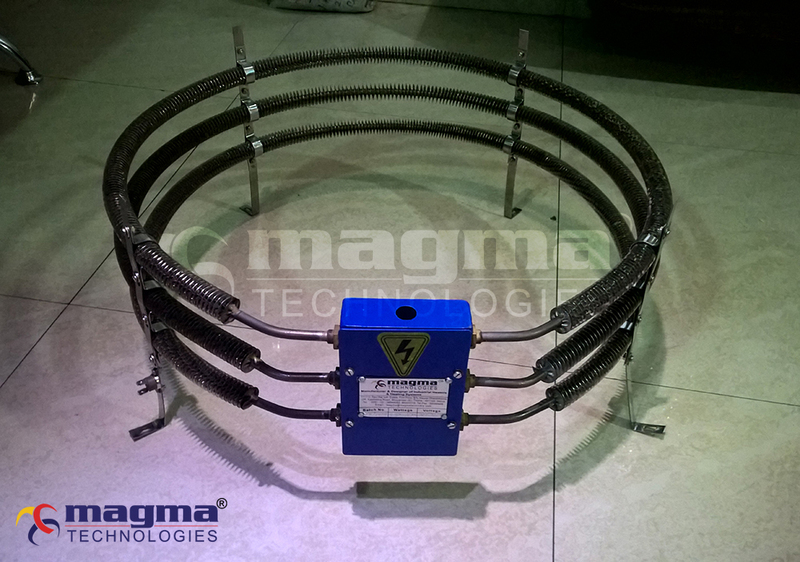 MAGMA circulation heaters provide a ready-made means to install electric heating with minimal amount of time and labor. The complete assembly consists of heating elements, vessel, insulation, terminal enclosures, mounting brackets, inlet-outlet connections and controls. More safety measures can also be added upon request. These units can be made from a wide range of heater sheath material, wattages, vessel sizes and materials, pressure ratings, terminal enclosures and controls. This heater is easy to install and maintain. These circulation heaters are made to order as per application. It is designed only & only on input and desired output specification given by the customers or users. According to calculations, the size & wattages required to heat the material (source) is decided. All safety equipments or measures can also be installed as per requirements. Heaters are made to heat forced circulation of air, gases or liquids. It is best suited for in-line or side- arm operations. Heaters can be vertically or horizontally mounted as per requirement or space constrain. Non- pressurized or highly pressurized fluids can be heated very effectively using either direct or in-direct circulation heating. 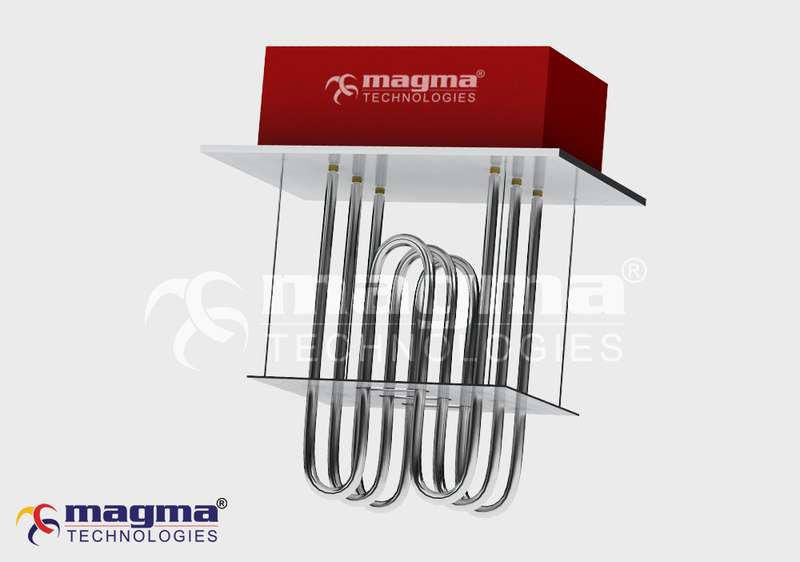 MAGMA circulation heaters is specifically designed for heating heat transfer fluid , medium and lightweight oils and water in tanks and pressure vessels. The offered heaters are used in water heating, freeze protection, heat transfer oil heating, fuel oil heating, gas heating and many others places. Oil and gas companies use circulation heaters in the process of modifying viscosity levels of their oils. 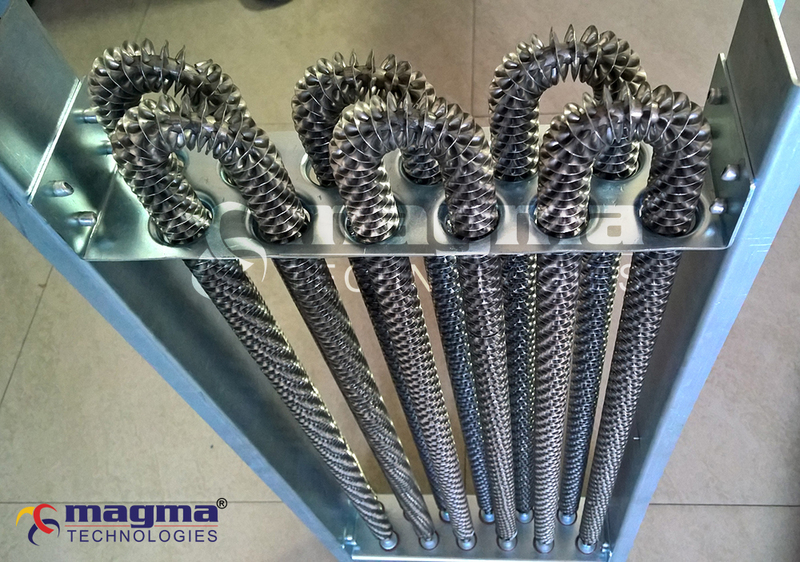 MAGMA offers all types of sheath materials, ERW or seamless, fittings & flanges, all types of enclosures including Flameproof and explosion proof, optional baffles for improved heat transfer, insulations & controls with basic and advanced safety equipments & measures. 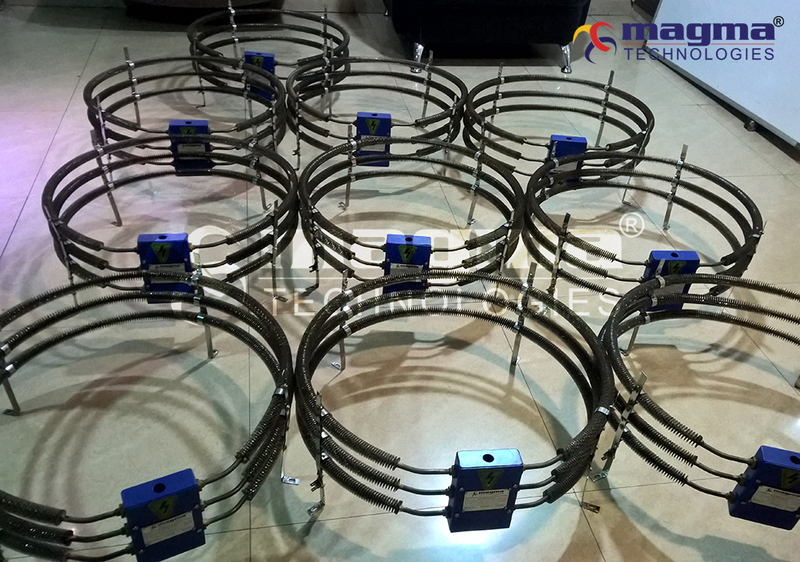 MAGMA circulation heaters will have long life, trouble free, dependable system ,if properly installed , operated and maintained.